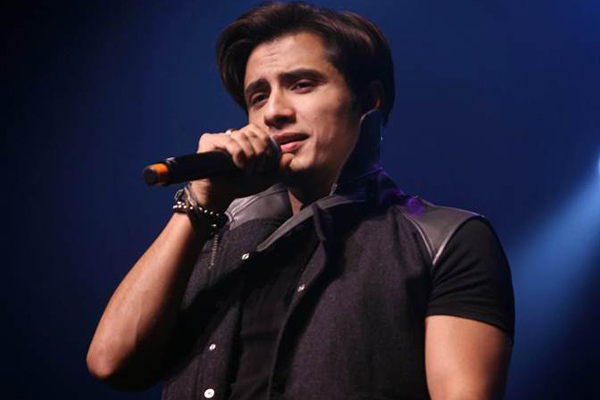 MUMBAI: Pakistani singing sensation Ali Zafar made a promising acting debut in India with the Bollywood film Tere Bin Laden in 2010. He went on to show his acting skills in Indian films, including some backed by the popular banner Yash Raj Films (YRF). Now he hopes that Teefa In Trouble -- his maiden film in Pakistani cinema -- crosses boundaries and makes a mark in India. Ali is actor, producer, singer and writer of the romantic action comedy film, which will hit the screens in about 25 countries on 20 July. Is India, with whom Pakistan shares a bitter-sweet relationship, part of the list? "Hopefully. It is on the cards. If everything goes well, then yes," Lahore-based Ali told IANS in a telephonic interview. "We have made the effort, given our best. It is all about giving respect and getting respect back. It is a film, it is entertainment. I hope that it gets screened over there (in India) and makes a mark and more stuff like this should happen. My job is to try. I don't think about the negative side at all," he added. Only a handful of Pakistani films like Khuda Kay Liye and singing superstar Atif Aslam-starrer Bol got to enter the Indian market. Asked if Ali would like that to change, he said: "As an artiste, I feel that our work should be heard and viewed by as many people as possible in the world. I think we want that there should be peace... peace, having a cordial relationship and love are what we all want to prevail." The music of the film is available in India, thanks to Junglee Music. He has also joined hands with YRF for the international theatrical distribution of his home production. "We feel honoured and proud that a banner like YRF is distributing my first home production. "I have worked with Yashji (late filmmaker Yash Chopra) and the production house. The most important language spoken there is the language of love which is why the love story in our film, the way we have shot it...even Chan Ve, which is a love song... you will find a lot of Yash Chopra and YRF vibe in them," said Ali, who worked with the banner for films like Mere Brother Ki Dulhan and Kill Dil. Any more YRF films in pipeline? "Let's see. Right now, it's just Teefa In Trouble." The forthcoming film is a family affair with his wife Ayesha Fazli co-producing and brother Danyal Zafar co-writing with him. "We shot the entire film like a family. Even the director, Ahsan Rahim, is a close friend and like a mentor. As a producer, it was my job to make everyone feel at home and work like a family. There is a message in the film -- it's about the journey more than the destination. The process needs to be really enjoyable," said the Sun Re Sajania hitmaker. "Our objective was to make a film that is first of its kind... that has its unique identity and flavour. It can be watched with family again and again."